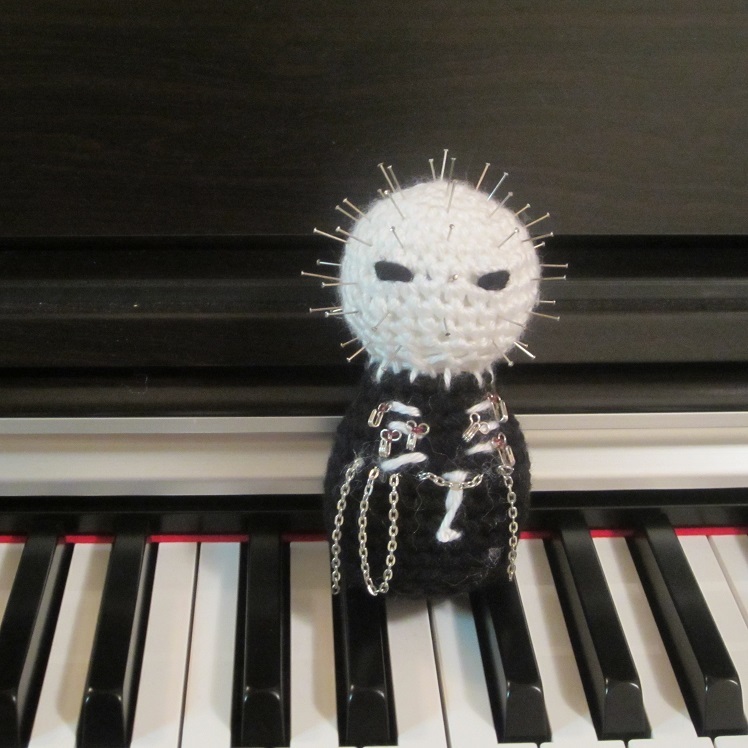 Pinhead Birthday Present for my Husband! 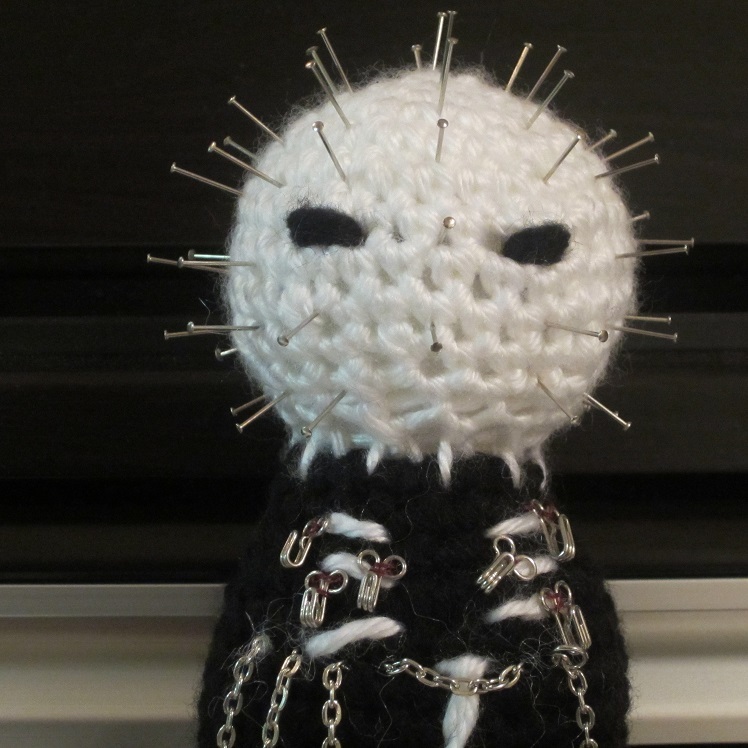 For Valtiel’s birthday, I had to come up with something really awesome, so I used the body and head pattern from the book Creepy Cute Crochet, by Christen Haden, and then I added pins and other little extra metal pieces I had leftover from other projects to make Pinhead!! 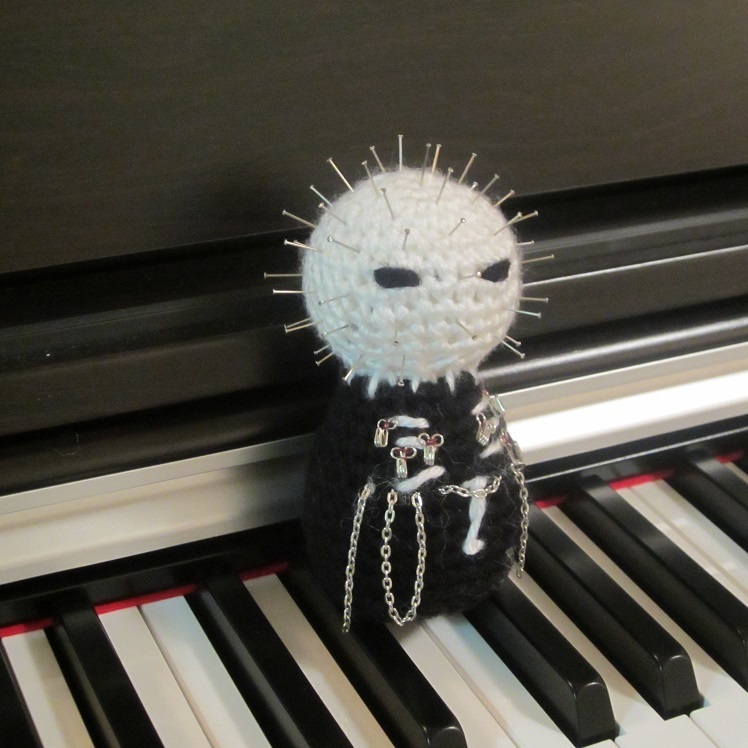 He’s really happy with his birthday present, and now Pinhead is hanging out on my piano in our living room next to my collectible Loki action figure!! They will create both mischief and pain that will border on pleasure!! Muahahahahahaha!!! 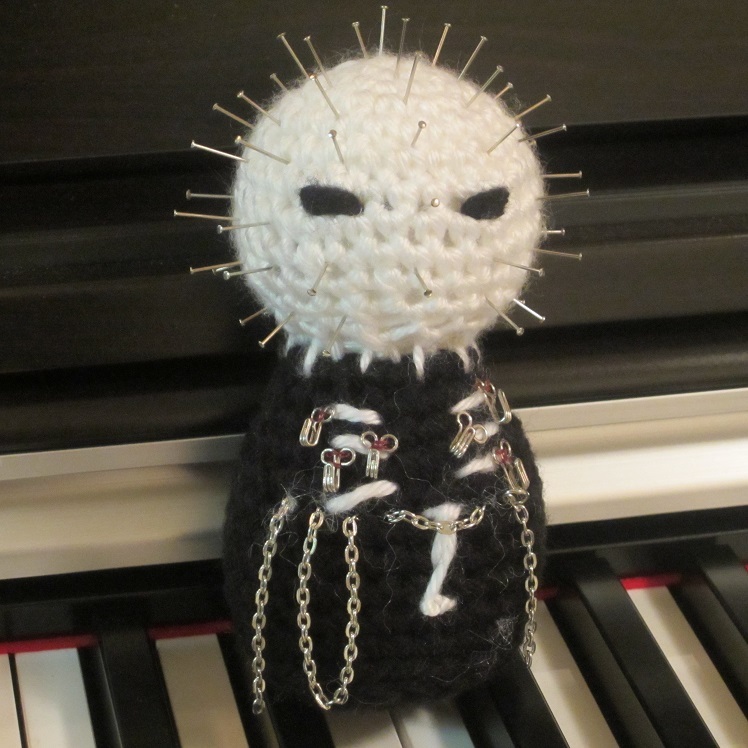 This entry was posted in Uncategorized and tagged creepy, Creepy Cute Crochet, crochet, emo, goth, gothic, Hellraiser, horror, Pinhead, scary, scene. Bookmark the permalink.